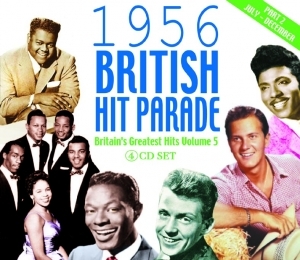 The second part of 1956 sees a continuation of the eclectic nature of the charts ? once again we can see the established stars rubbing shoulders with the new rock and rollers. The diversity of genres is quite amazing with rock and n roll mixing with music hall, country, R & B, jazz, classical, crooners, and everything in between. Many of the tracks featured here have become standards and are instantly recognized all over the world and the artists featured are amongst the biggest names in the history of music.